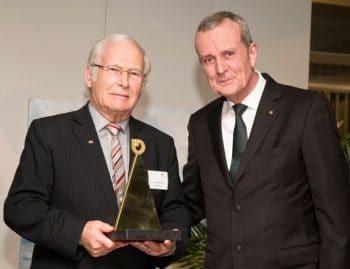 The highest award for a very exceptional entrepreneur and his company. 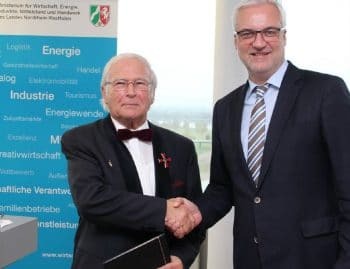 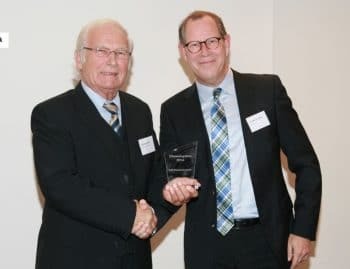 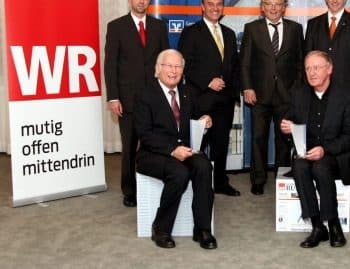 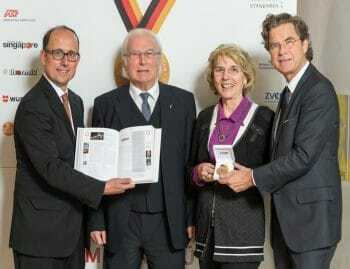 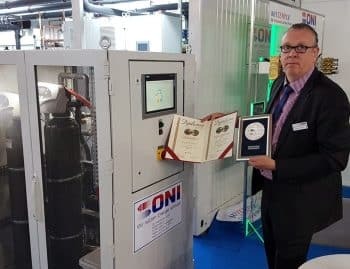 For an outstanding and continuously successful company development over many years the company ONI-Wärmetrafo GmbH was awarded with the honorary badge of the Oskar Patzelt Foundation. 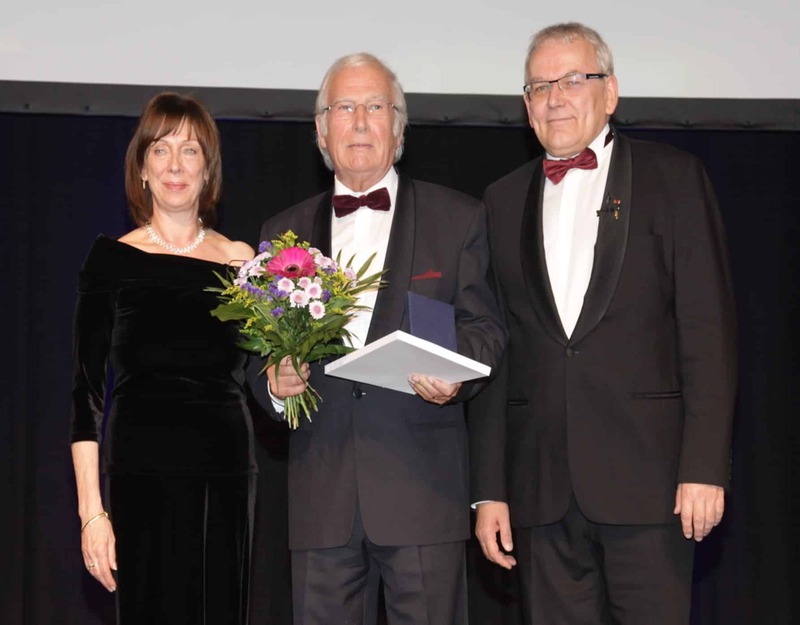 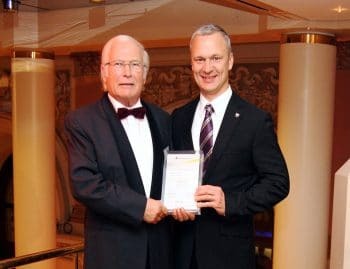 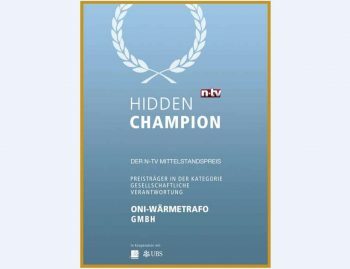 Wolfgang Oehm, Managing Partner, accepted the award on October 22, 2016 on behalf of the entire ONI team from the hands of Petra Tröger and Dr. Ing. 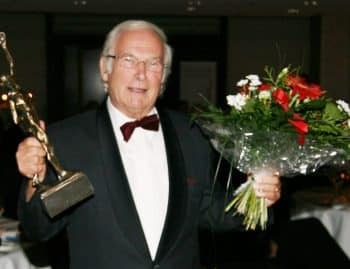 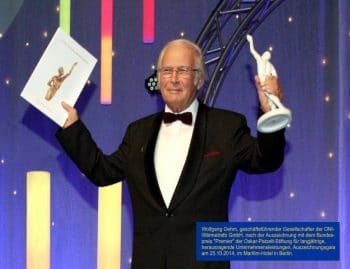 Helfried Schmidt, board members of the Oskar Patzelt Foundation, on the occasion of a gala event at the Maritim Hotel Berlin.